Starting my day with a quick and small experiences of Shirdi Sai Baba, boost my strength throughout the day. 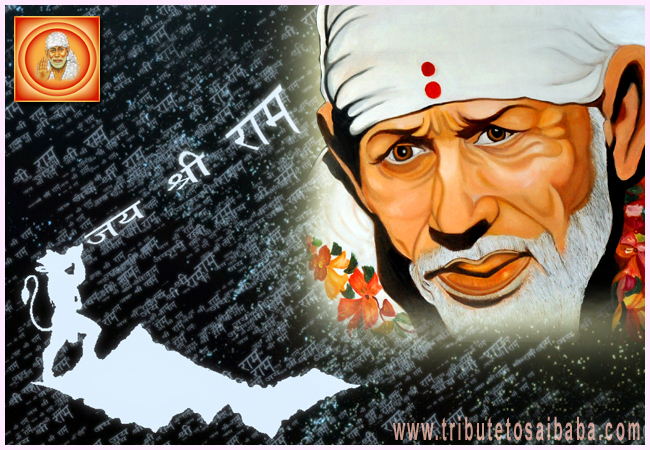 Great thanks to Admin of ‘Tribute to Sai Baba’. Here is one of my experience. It is about an incident which happened at the time of my last Shirdi visit. I started my journey from Shahabad to Dhaund in Mumbai-Chennai mail. Just after crossing Akalkot I saw a co-passenger who belongs to Madurai, was going to attend an important job interview at Pune. While talking to him, he expressed his feeling with me. He told me that if I will not get this job, it would become very difficult for me and my family. He said, his life is not treating him well these days. His parents are totally dependent on him and there is no single source of money to bear all our expenses. From his face, I could figure out the situation of his family. After listening his story, I told him that do not worry brother; now I am going to Shirdi, and I will pray Sai Baba for you to get this job. I would also suggest you to pray Sai to get this job. I am sure Sai baba will definitely help you. I gave him just a motivation during our discussion on how to attend the interview and how your body language helps in your interview. All this happened on April 1st, 2015. We exchanged the phone numbers in this short visit. As all this is happened couple of months back, I completely forgot this incident. One day, I got a call from UAE unknown number and I picked that call and I was totally surprised. He got an opportunity to work with UAE MNC. He also expressed that he attended the interview and they told him to be back after some time. Same day he got a call from this MNC that he has been selected and joined the UAE office. I believe that my Sai Baba not only listened to me but also that person in his tough time and showed the miracle. Thanks a lot to dear Sai Baba.